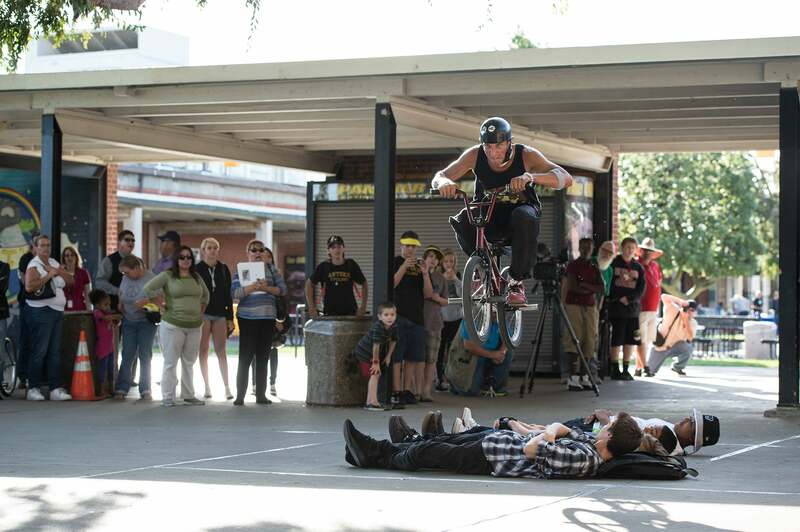 BMX Flatland performer Pete Brandt warms up before giving a free show to the Antioch High School Bike Club. 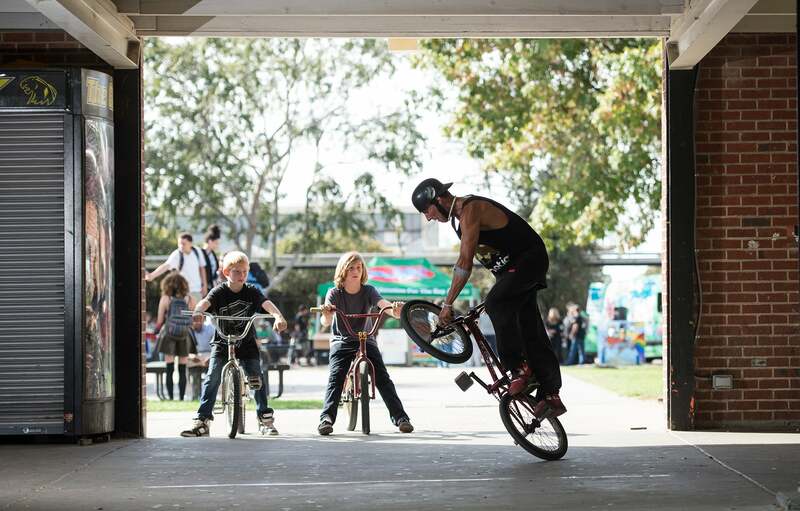 Kids stare in awe at Brandt performs BMX tricks. 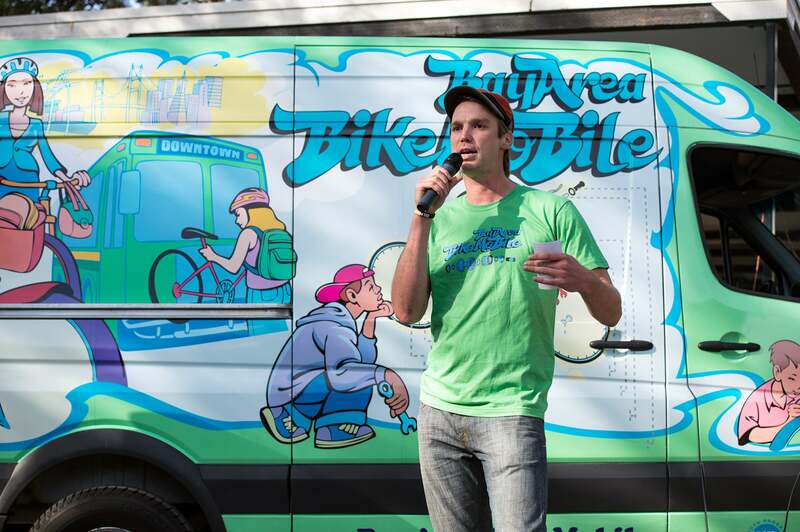 BikeMobile technician Tommy Bensko speaks to the crowd in front of the roving repair shop. Bike powered blenders make lemonade. Two festival-goers don visors celebrating Assemblyman Jim Frazier, who spoke at the event. Peter Brandt jumps four kids side by side while performing at Antioch High School. Antioch High School Bike Club teacher and advisor Dylan Howell hangs with club members. Cool Spare-the-Air backpacks were available. 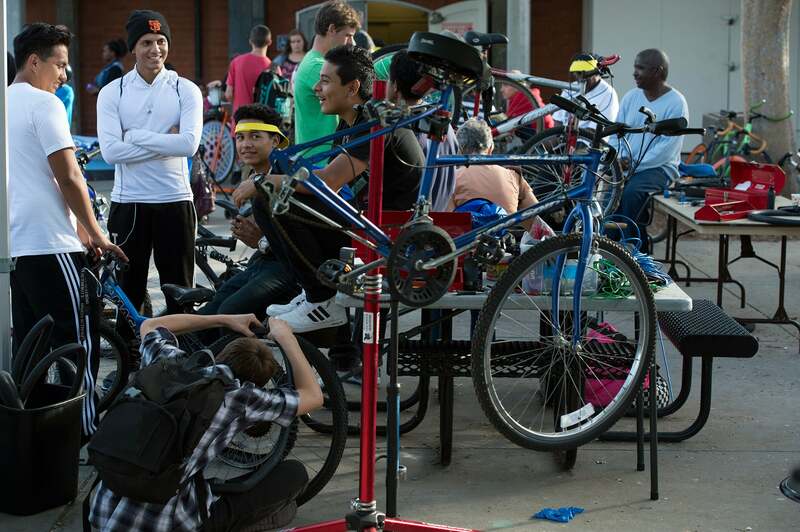 Antioch High School's campus morphed into a bike repair shop for an evening. The BikeMobile got so many fix-it requests at the festival that they signed up to come back to campus later in November. 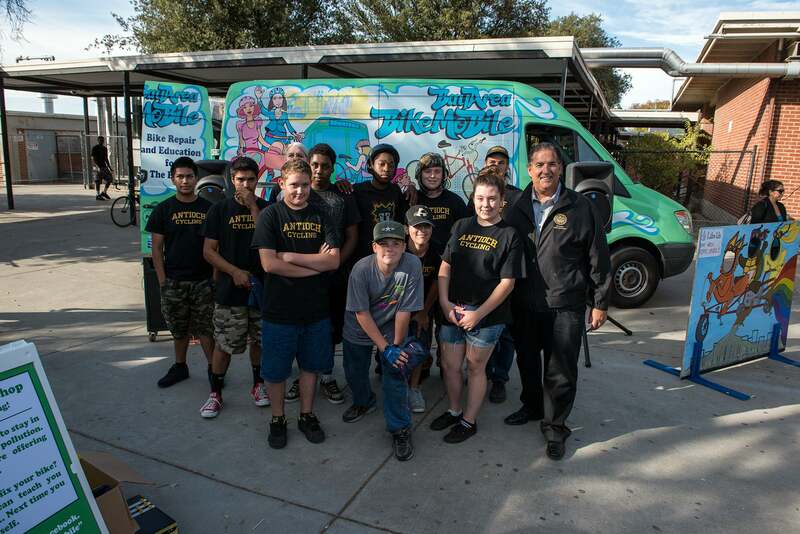 The Antioch High School Bike Club poses by the BikeMobile. 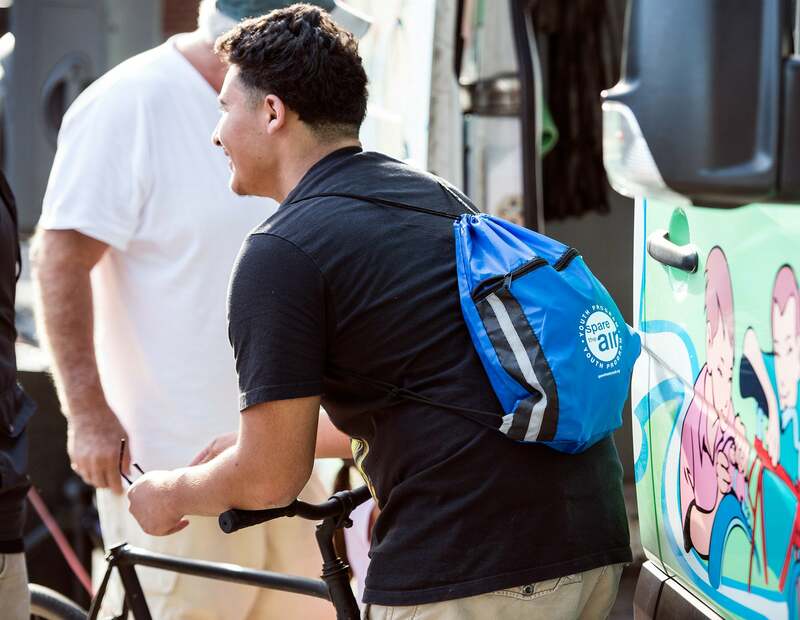 Since spring 2014, the Bay Area BikeMobile – a roving group of mechanics who provide free fixes at schools, parks and community centers – has repaired 2,000 bikes. 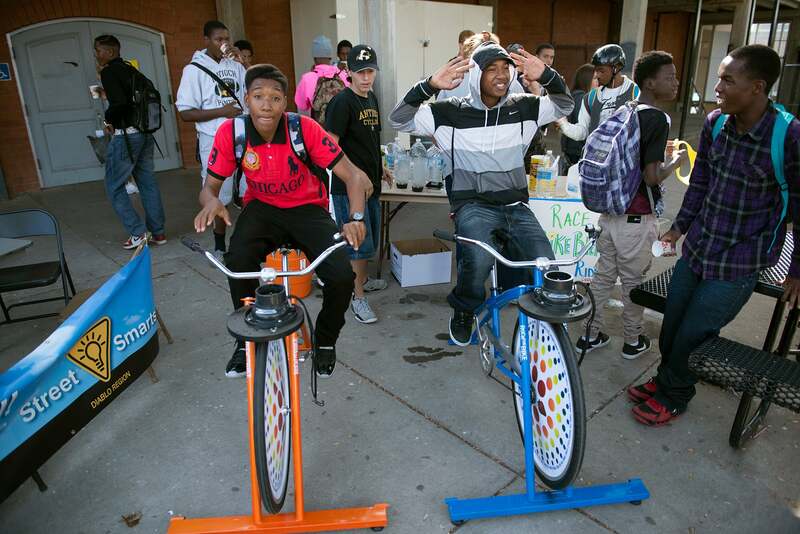 Most recently, the technicians rolled onto the Antioch High School campus for a free cycling festival. 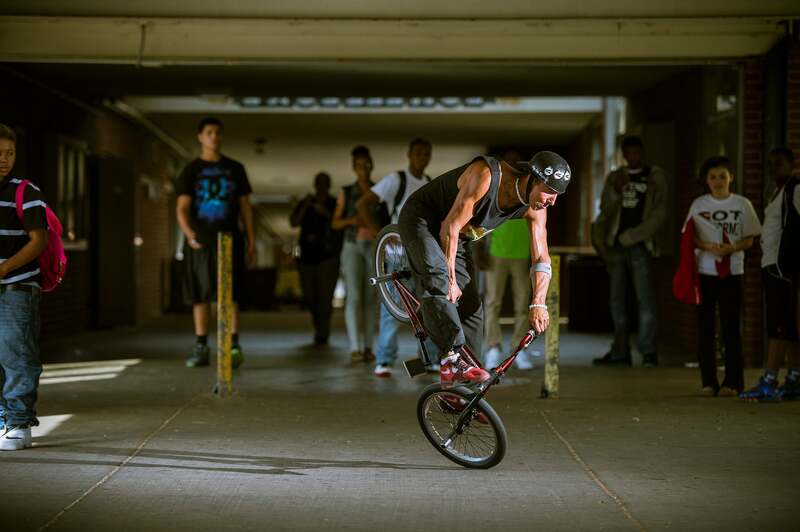 There, students lined up to get flat tires fixed and brakes checked – that is, if they could take their eyes off the afternoon’s entertainment: Pete Brandt, a professional BMX rider who performed tricks and twirls. 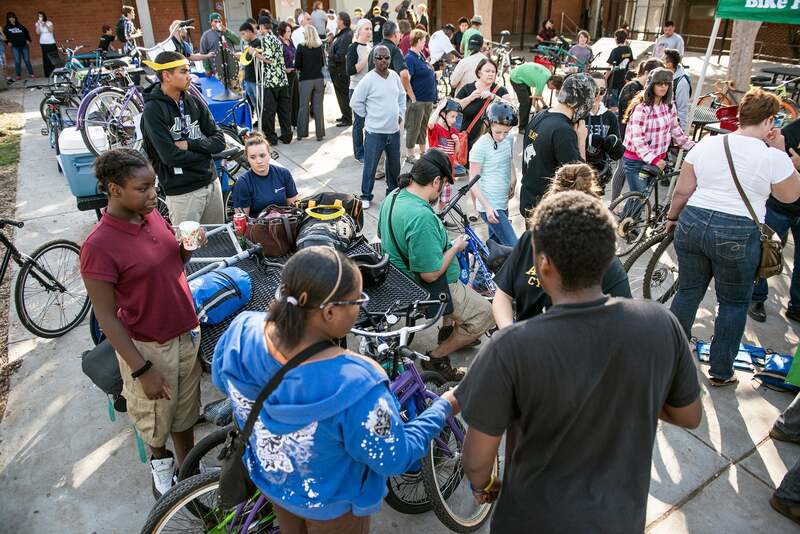 Also on site was California Assemblyman Jim Frazier, District, 11, who told the crowd he’s an avid cyclist. “We help our environment by staying on our bikes,” he said. This is the second year of service for the two Bay Area BikeMobiles. This year’s program, which launched in March 2014, was funded by a $480,000 Spare the Air Youth grant from MTC and the Bay Area Air Quality Management District. The Antioch event was so popular that the speedy mechanics couldn’t even complete all the requested repairs. They’ll be back mid-November to finish the job.